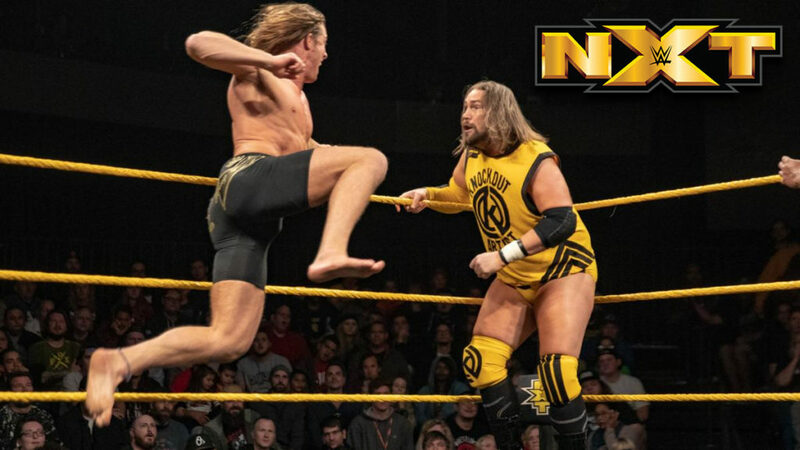 Most of this two hour show is dedicated to recapping 2018, showing clips from some of the best matches of the year, and revealing the nominees for the NXT Year Ends Awards. This was much more competitive than their Takeover match, and I liked it. Ohno dominated a lot of the match with multiple hard strikes and heavy moves. This match showed that Riddle is never far away from a victory though. This was good for both men, but this whole feud has really been about building up Riddle. It’s working. After the match, Riddle holds his fist out to Ohno for a fist bump. Ohno walks away at first, but he turns around and walks back to the ring. Ohno holds his fist out for Riddle, but when Riddle goes for a fist bump, Ohno grabs Riddle and throws him into the ring post. At ringside, Ohno drives Riddle into the ring steps multiple times. Ohno then downs Riddle with a rolling elbow. With Riddle helpless and nearly unconscious, Ohno gives him a fist bump. This was mostly a year in review, and that’s fine. I liked the match though. I didn’t mind their Takeover match for what it was, but this was certainly more interesting.